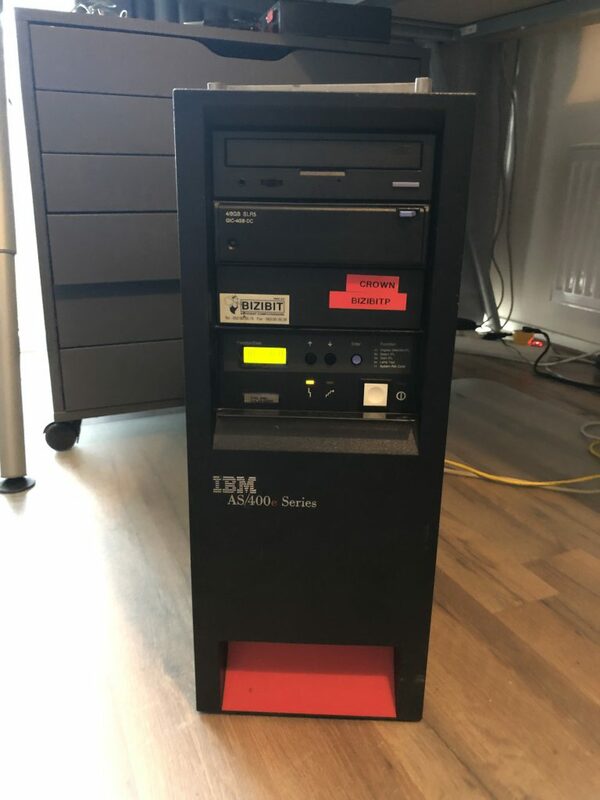 Recently I’ve gotten a hold of an old IBM mid-range computer, an AS/400 150. 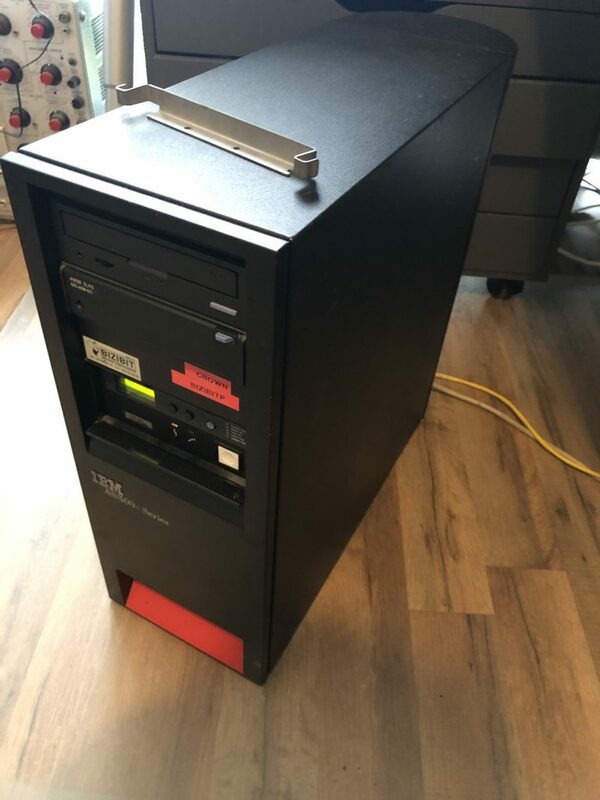 This is an 1997 server very much aimed at businesses, pay-rolling, inventory management and such. It can be used as a multi user system, with users logging in via a terminal. The operating system it runs is OS/400 and that is also the only OS it can run, no Linux available for this system. It’s compatible with the IBM system/36, so any programs made for an 80’s S/36 machine run without problems on the AS/400 machines. It also looks very much 90s, though I personally like the cover at the back, hiding all ports. A Chinese company recently launched a small dev board with some interesting features, it’s one of the very few boards with a RISC-V CPU, like the SiFive HiFive1, at least, I though. Unlike the HiFive1 board, the Lichee Tang doesn’t use a custom RISC-V microcontroller, instead it has a FPGA IC with a RISC-V core pre-loaded. This also means it’s possible to use it as an FPGA board, add custom things in the FPGA next to the CPU and so on. And this is just where the interesting tidbits start. Sadly, the documentation currently is mostly in Chinese. So let’s change that and make a hello world project. Meaning, get a toolchain up and running, recompile the FPGA project and load it all on the dev board. Don’t worry, I also created a virtual machine with all the work done already. 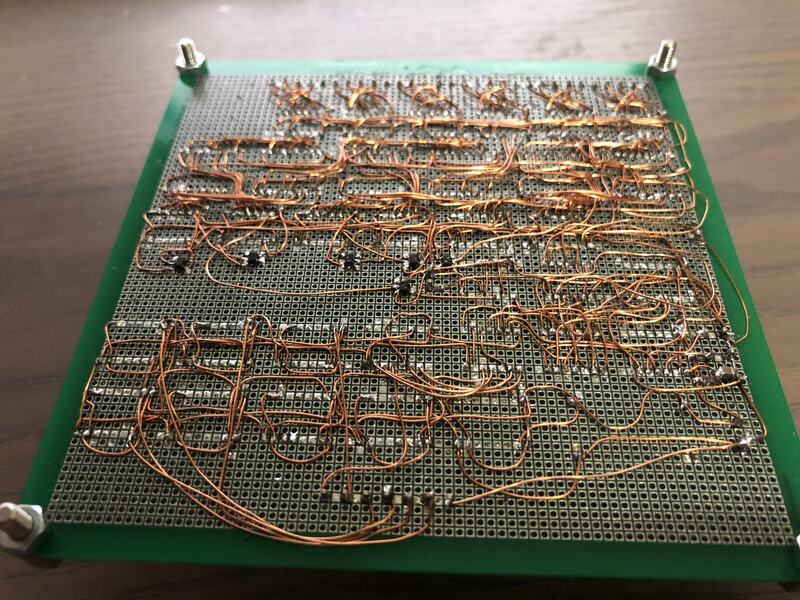 A long time ago, 7400 logic was all that was available, but having only 7400 logic means designs can get big and difficult, but making a custom logic IC was expensive and hardly a possibility. A few companies started making programmable logic devices like the Programmable Logic Array (PLA) and Programmable Array Logic (PAL). These devices started being available in the 1970’s and where generally one time programmable devices, with the capability to contain a handful of simple logic. Much later, in 1985, the Generic Array Logic (GAL) came into existence, a reprogrammable version of the PAL. Later on the CPLD’s and FPGA’s came and are still used today.When reading about this I discovered there are still GAL’s made and sold, and getting old ones from Ebay is easy enough. They looked like weird odd devices, so I decided to have a closer look, eventually making a dual BCD to 7 segment decoder with them that even handled multiplexing. ST makes the very popular STM32 line of ARM Cortex M microcontrollers, which have a good amount of hobby and professional users, but ST also makes a lesser known family of microcontrollers, at least, lesser known except in China. The STM8S series are 8 bit microcontrollers with their own CPU core and peripherals that are fairly similar to the ones on STM32 devices. And they are used on a lot of cheap Chinese gadgets and DIY boards. Slowly some hobbyist interest also is starting to form and there is an Arduino like library available and good support in the interesting Forth language. 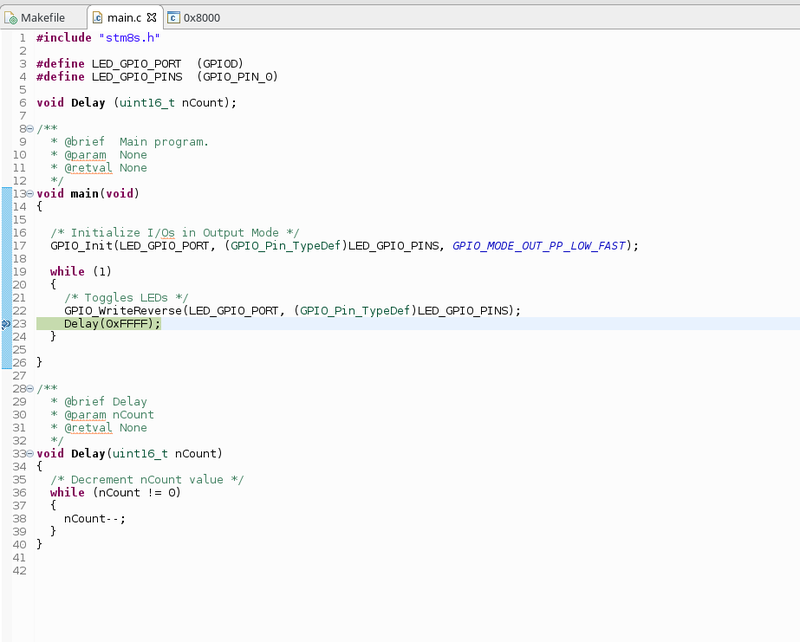 Sadly, an C IDE with debugging support, like the STM32 system workbench is not available, at least, not for Linux. There is ST Visual Develop but it’s a bit crusty and Windows only. The STM8 devices are cheap, really really cheap. But apart from being very cheap and in a lot of Chinese gadgets, for hobby use just grabbing an Arduino, STM32 or other mode popular board is a lot easier to get running and to get support. But if you want to try a new architecture, hack some Chinese gadget or need a microcontroller that is less then 0.25usd in bulk. please read on. 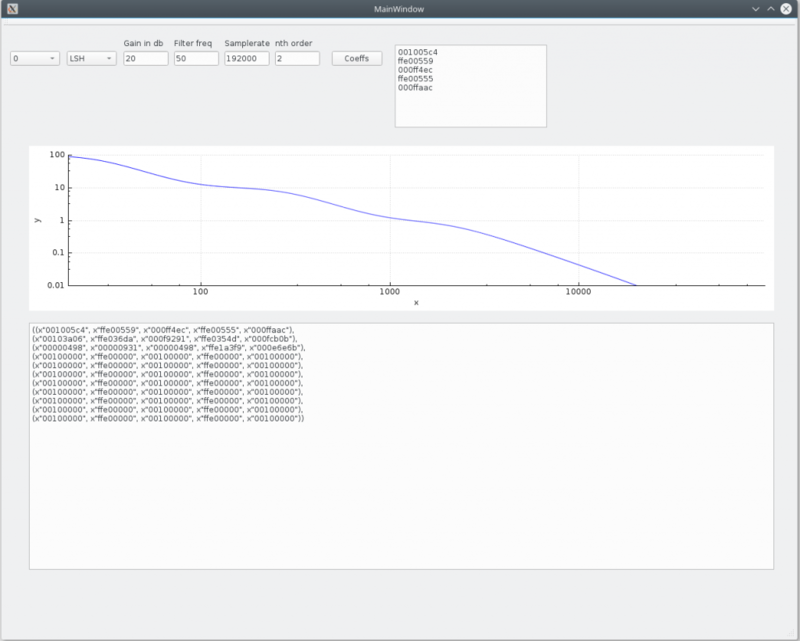 I already made a few makefile projects for the STM8S, but that still lacks debugging, so time to do it a bit better. And why not make everything work in Eclipse while we’re at it. This is all tested on Debian Stretch, I imagine it will work on any Debian based distro like Ubuntu or Mint and without too much changes on any other distro, but your mileage may vary. As the SDCC compiler is unable to optimize unused functions, the makefile splits every C file from the peripheral drivers into a separate file and then compiles a library. This way the code size remains small. The downside is that stepping into a function like GPIO_WriteReverse does not work when debugging. As these drivers are provided by ST and probably tested, I don’t find this a problem, but good to keep this in mind. a.k.a. the most energy inefficient memory possible. A computer needs RAM to function, the StupidCPU is no different. I decided to design the RAM first as it’s a relative straitforward element and the first board also means designing an interface to hookup multiple boars together. And multiple boards it will be. The design idea is to make everything on 10*10cm PCB’s as those are the cheapest to order from China and one single boards means more things to go wrong. A backplane like structure will be used with multiple boards plugging in to the backplane to form a computer. This blog post will discribe the backplane interface and the first board, the RAM board. FPGA’s are cool, Digital Signal Processing is cool and audio is a nice way to show it. A RIAA filter, using 3 of the 11 possible biquad filters. 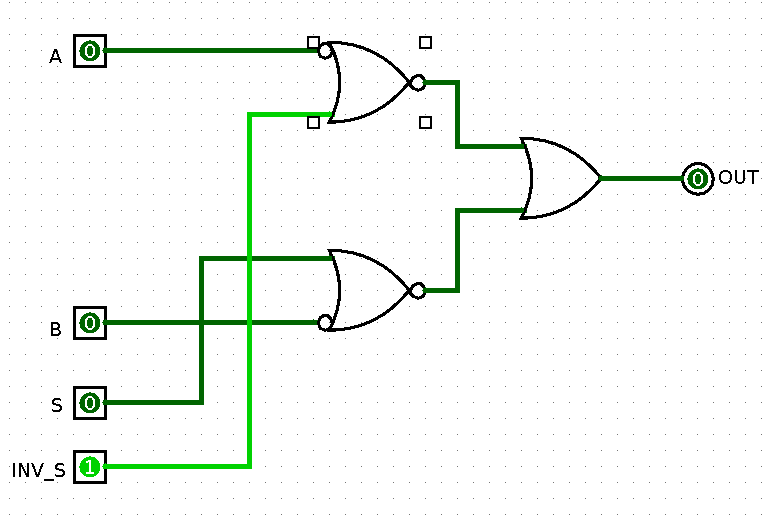 In the previous post I talked about the quirks and weirdness of ECL gates, Now it’s time to design some more logic with it. Now lets turn it into an ECL version, using as few gates as possible. The first thing to know is that every AND can be turned into an OR with an inverter added to all in and outputs. Vice versa, an OR can be turned into an AND with inverters at all in and outputs. Optimizing designs like this is called bubble pushing, as it adds inverters, which are indicated by a circle, or bubble, on all in/outputs. So let’s get rid of the ANDs first. 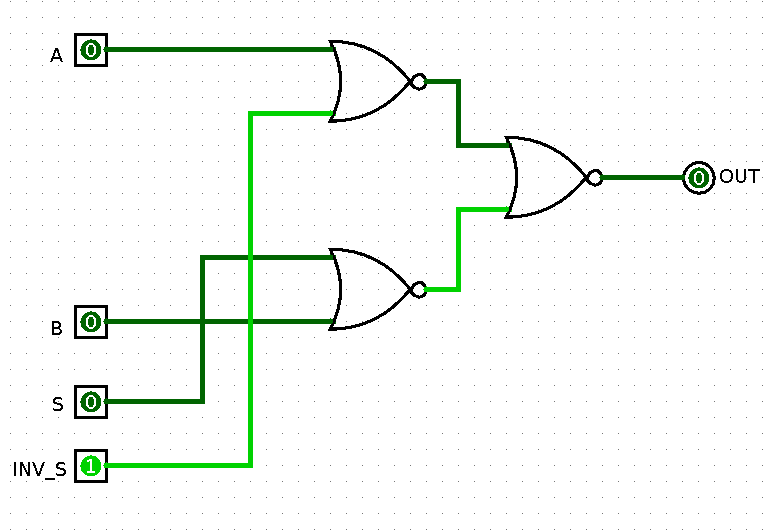 Well, that’s a MUX solved, but flip-flops are also very handy. Luckily turning an D latch into a D flip-flop is simple, just use two and an inverter, or with ECL latches, turn the differential clock signal around. 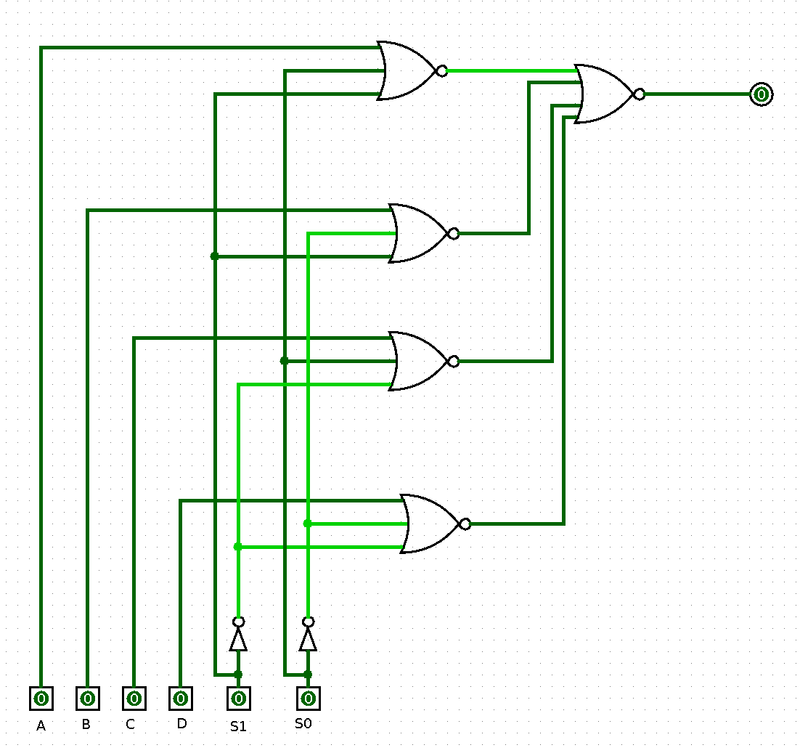 ECL logic, or emitter coupled logic is a family of very high speed logic. with ECL logic, a transistor is never completely on or off, meaning the transistor is never saturated, making it very fast. It also makes it weird and quirky, interesting enough to have a look at. First of all, ECL logic generally works on -5V instead of 5V, though later it was also available using a more normal 5V power. Second of all, the logic level is not 0V and -5V, but roughly -0.8V and -1.6V. 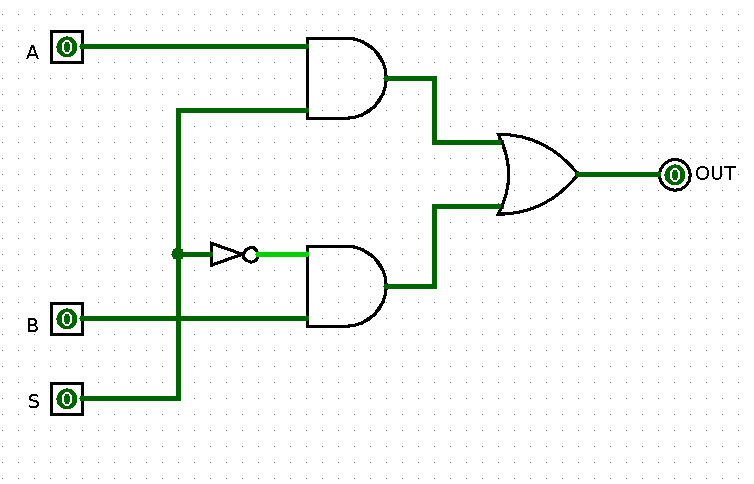 Third, most ECL logic has 2 outputs, a normal and an inverting one. 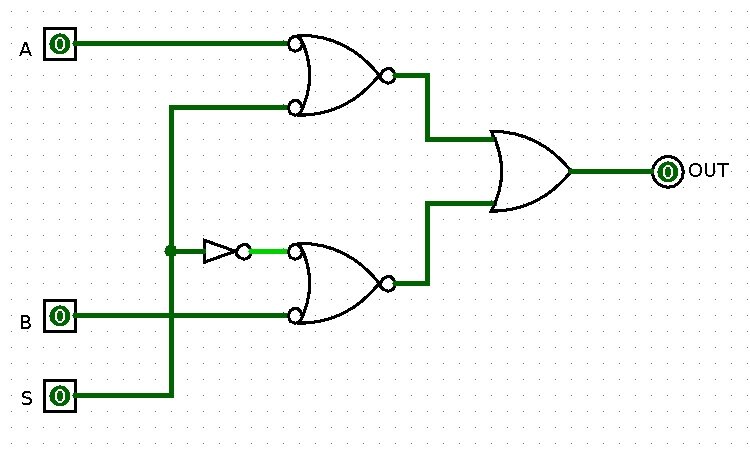 This can be used to make logic design easier or to have an differential pair output for noise immunity. ECL was used in multiple well known designs, for example the Cray-1 supercomputer used ECL. All in all, interesting devices. The easiest way to experiment with them is by buying some logic devices. ON semiconductors still makes them, the NC10EP01 for example is a single gate OR/NOR that can be used with 5V or -5V as power supply. It’s a very fast device, reaching over 3Ghz switching speeds. The datasheet can be viewed here. The StupidCPU, an 8 BIT 7400 computer, part 1, the architecture. 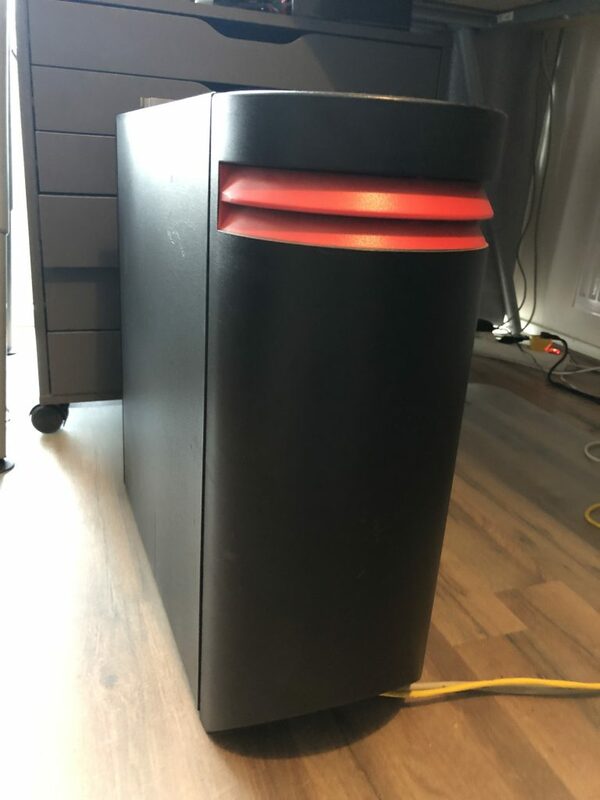 Another day, another silly DIY computer. 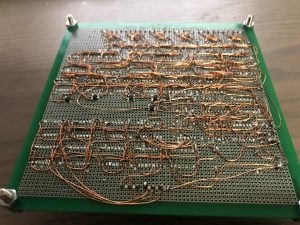 Making a computer from scratch is a popular project, whether it’s done with an FPGA, an older CPU like the 6502, discrete logic like the 7400 series or even with just a big bag of transistors, so time to give it a go as well. A good couple of years ago I designed a very simple ALU as a school project, but never did anything with it, so time to change it. As it’s a horribly inefficient 8 bit CPU, I’ll call it the StupidCPU. The StupidCPU is an 8 bit CPU, with 16 bit data buses, one data bus for executable code and one for RAM, making it a Harvard architecture CPU. All peripherals are memory mapped as RAM. As an 8 bit CPU has, well, 8 bits, some trickery is needed for having 16 bit buses. the RAM is accessed using bank switching and the program counter is 16 bits for accessing the executable code. With a maximum of 16 instructions, 4 bits are needed to select the instruction. The other 8 form an immediate value or an address for the RAM. To keep everything simple, the CPU has 1 usable register, called the ACC register. As it can directly read and write to 256 RAM bytes, those are used as a kind of registers in the way a normal RISC CPU uses registers. The StupidCPU also has 2 status bits, carry and zero. Carry is high when an overflow occurs and zero when the ACC register is zero. The NOR instruction executes a logic NOR on the ACC and the RAM value at the selected address, the result is stored in ACC. The NORI instruction executes a logic NOR on the ACC and the immediate value, the result is stored in ACC. The AND instruction executes a logic AND on the ACC and the RAM value at the selected address, the result is stored in ACC. The ANDI instruction executes a logic AND on the ACC and the immediate value, the result is stored in ACC. The ADD instruction adds ACC and the RAM value at the selected address, the result is stored in ACC. The ADDI instruction adds ACC and the immediate value, the result is stored in ACC. Logical shift ACC right 1 bit, store the result in ACC. Logical shift ACC left 1 bit, store the result in ACC. Store the ACC into RAM at the selected address. If carry is 0 or zero is 1, set the program counters lowest 8 bits to the immediate value. If carry is 0 or zero is 1, set the program counter lowest 8 bits to the value in RAM at the selected address. Set the program counters highest 8 bits to the immediate value, the next time the lowest 8 bits are changed. 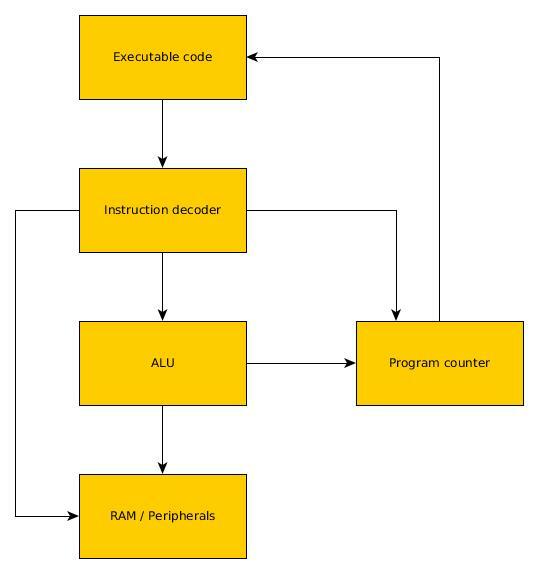 This means that after executing the LTPC instruction, the PC changed the next time an LPC instruction or a JCC/JPCC instruction with the carry at 0 or zero flag at 1 is executed. This brings the total to 14 instructions out of the maximum of 16, so there is a bit of space left. Subtract ACC from the RAM value at the selected address, the result is stored in ACC. Subtract ACC from the immediate value, the result is stored in ACC. Load an immediate value into ACC. Load a value from RAM into ACC. The way the RAM works required some extra explanation, as it’s a bit unusual. As the StupidCPU is an 8 bit CPU, it can access a maximum of 256 bytes of RAM, which is a bit low. To give it access to more RAM, bank switching is used. 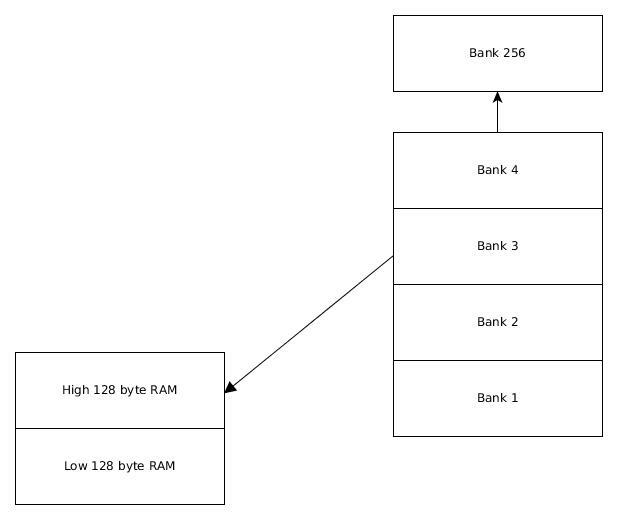 With bank switching there are multiple banks of RAM, for example 4 banks of 256 bytes of RAM. The CPU can access one bank at a time, being able to select the accessible bank using a special instruction. There is one problem for the StupidCPU, it has only 1 register. When the bank is switched, all previously accessible variables are gone. To counteract this, the StupicCPU has banks of 128 bytes, and only the highest 128 bytes of RAM are switched. This way, the lowest 128 bytes of RAM are always accessible, the only downside is that with an 16 bit RAM bus the maximum amount of accessible RAM is 32K. All peripherals are memory mapped, for example, an GPIO peripheral would be selected as a top bank and can then be written to/read from like RAM. That’s it for now, the next blog post will go into some more design details. I like perfboard, especially the ones with plated trough holes. But I also like SMD components, and more and more fun IC’s are not available in DIP. So a while ago I designed some perfboard with 1.27mm pitch, making some SMD parts like SOIC stuff easy to prototype on it, and also mix THT and SMD stuff. 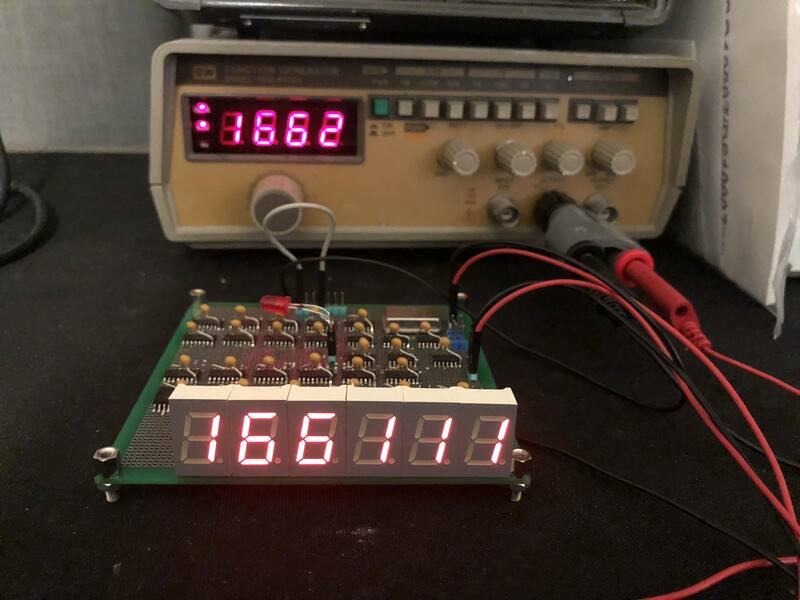 Looking for a nice little project to build on it, I came across a frequency counter made with 7400 logic, perhaps not the most efficient approach, but a fun one at that. I made a few changed to the design, partly because of some components I already had like the 74HC160 and 4543 (yes, not 7400 but still logic :P) and partly to improve on the design, for example by adding a 10Mhz oscillator instead of a NE555 as the clock source. The current end result looks like this, a case is ordered and a follow up post will be made when the project is nicely tucked away in a case.